ARC August was created by Octavia at Read. Sleep. Repeat. The point of this tag is for us readers and bloggers to get through that stack of ARCs that has been building up. I was a little disappointed with this one. It is well-researched and uses a lot of actual historical facts in its plot, yet it lacked the emotional tug that would have pulled me into the story. My full review of it will be up this week. Fantastically amazing, I had no idea what I was in for when I started this book but it was phenomenal. From it's physical appearance to the plot—I'm going to have such a hard time putting my love for this book into a coherent review, which will be up this coming week. 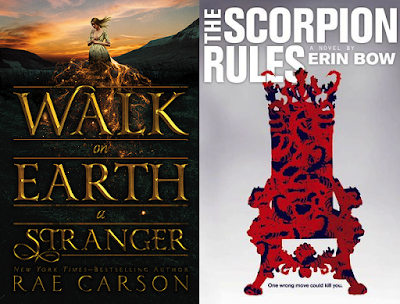 This week, I'm aiming to read Walk on Earth a Stranger by Rae Carson and The Scorpion Rules by Erin Bow. Of course, whenever I make a goal, something interrupts and changes it but basically I want to read at least two ARCs this week, even if it doesn't end up being these two. I don't think I've really seen anything positive about Legacy of Kings yet which makes me sad because I really wanted to read that one, but I think the fact of all the POV's is enough to scare me away. 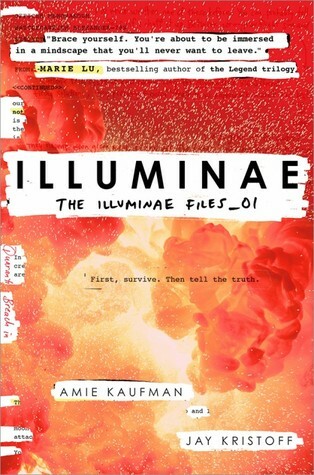 Illuminae sounds really good! I just finished reading Spinning Starlight for ARC August and it was really good! I have three books left from my total list of books to read this month! Good luck getting your next two read! I have also being seeing a lot of negative reviews for Legacy of Kings recently but it's not a bad book exactly. The writing was decent and it used a lot of actual historical facts but it read like a really good textbook. Not what I'm looking for in a fiction novel. I really want to read Spinning Starlight, so I'm glad that you enjoyed it! Good luck to you too! Illuminae totally took me by surprise, because I no expectations for that book and it BLEW ME AWAY. One of the best books I've ever read. I know! It was AMAZING. When books have so much hype I'm always worried that I won't feel the same way but WOW. The formatting is really what makes it though. So jealous you have Legacy of Kings and Illuminae! They both look so great!! :) Can't wait to hear your thoughts!! I can't say that I love Legacy of Kings but it was interesting. Illuminae is absolutely amazing though. It makes my favs of 2015! 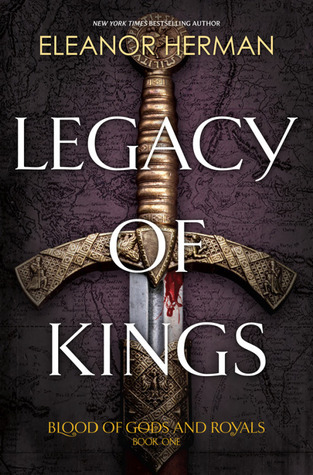 I'm intrigued by Legacy of Kings because I love it when fact are woven into books like that. Not sure if I'm intrigued enough to pick it up yet though. I have heard nothing but good things about Illuminae! I'm interested to see what you think of your next reads, I'm interested in both of those as well. Awesome progress!! It was very interesting but I can't say I would recommend it. You need to read Illuminae! !